Welcome to Premier Auto Mall, Inc. "The Element of Integrity"
Serving the community since 1999, We provide quality transportation and automobile services. Our focus is on the needs of our customers today and how we can be of service to them in the future. At Premier Auto Mall, "We don't follow trends we set them". Our reputation of providing quality pre-owned automobiles and outstanding customer service will leave you completely satisfied with your vehicle shopping experience. Be sure to visit our virtual showroom of inventory available for purchase. There you will see detailed information about each vehicle, a picture gallery, as well as convenient ways to contact us for more information about that vehicle. 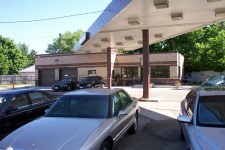 We are located at 4299 Salem Ave and are available by phone at 937-275-0055 . You can also get driving directions and hours of service from our user friendly website.